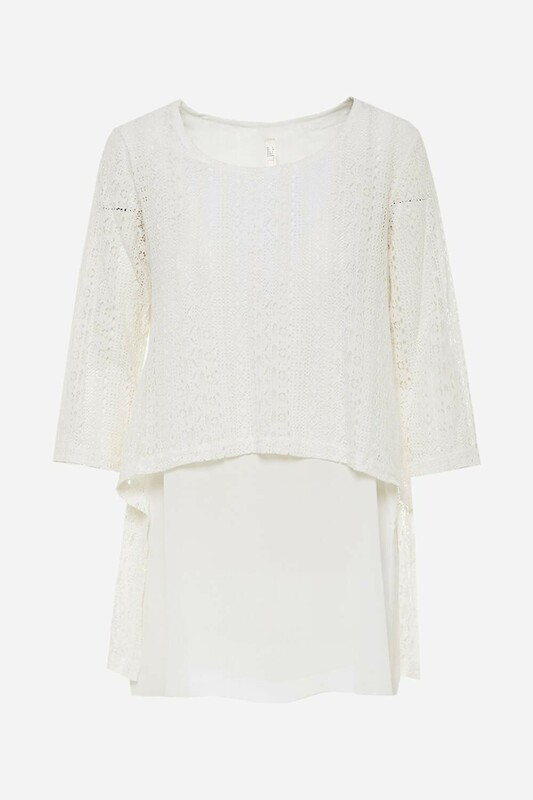 A basic white top is timeless wardrobe piece. 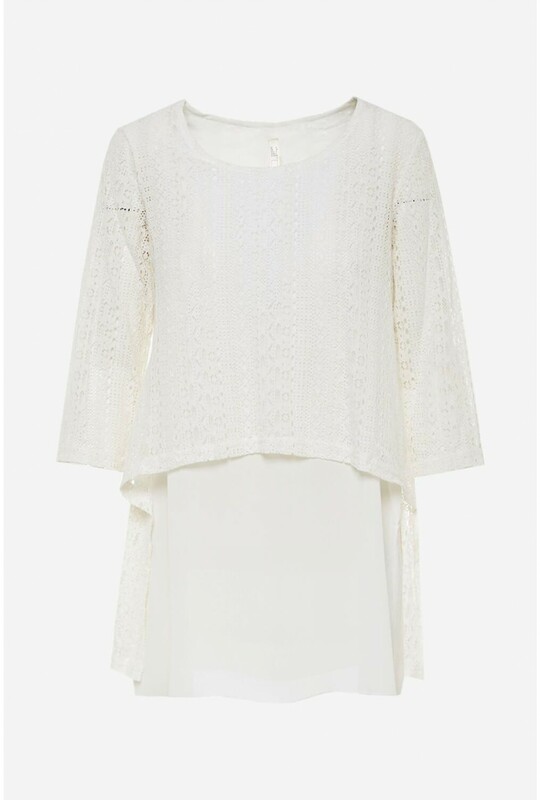 This three sleeve top features a lace overlay and in a loose style. Team with denims or faux leather trousers.